Woodworkers expect nothing less from Kirschen, or Two Cherries, than a set of scraper blades that not only do the job, but look the part as well. With high-quality steel blades, hand-made lacquered handles from Sheffield, England and a beautiful suede leather pouch to keep them as pristine as they day you bought them, these are a set of scraper blades that one day your grandchildren will be thanking you for. 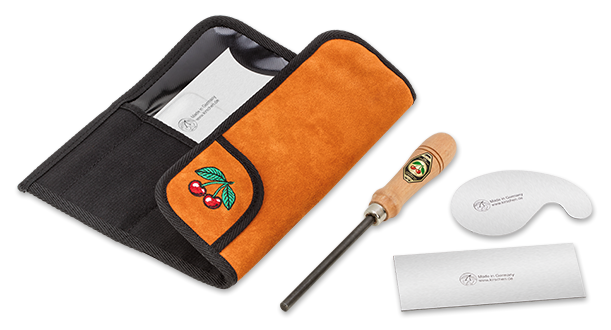 Click the button below to add the Cabinet Scraper Set in Leather Wallet to your wish list.